Frank Kaminsky of the NBA’s Charlotte Hornets has launched his official website for fans to follow his journey as he begins his professional basketball career. The site features photos, videos, and Kaminsky’s aggregated social media content, as well as news about his basketball camps, and philanthropic events. Before Kaminsky was selected by Charlotte as the ninth overall pick in the 2015 NBA Draft, he completed an extraordinary college basketball career at the University of Wisconsin. In 2015, he helped lead his team to the NCAA championship game, was the consensus National Player of the Year, as well as a consensus first-team All American and the Big Ten Player of the Year. 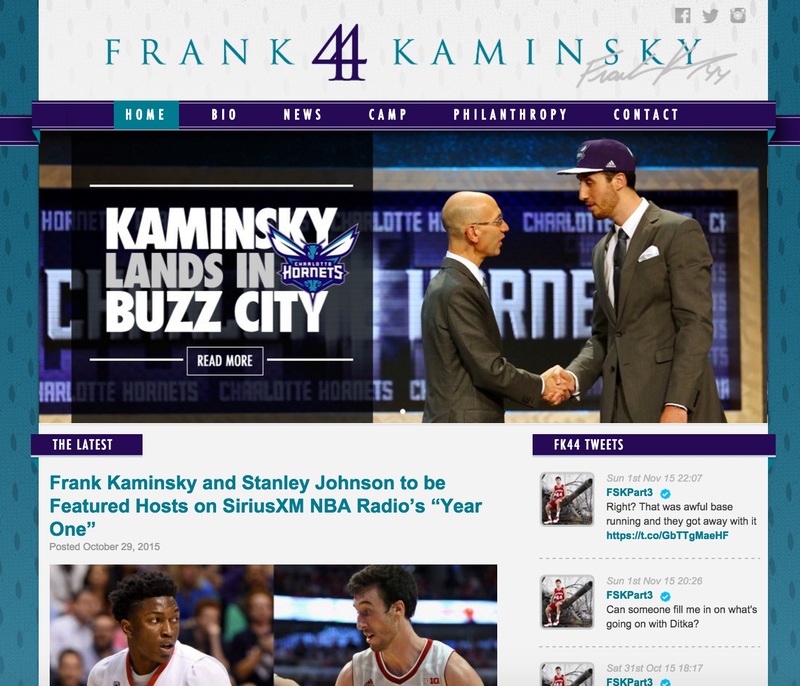 Fans can now interact with Kaminsky and keep up with his latest updates at www.FrankKaminsky44.com.